Welcome to Prickly Pear Cabo. As we are into our 4th year of service as Prickly Pear we are grateful and thankful. We have such amazing clients and have had a great year. As a resident of Cabo for 17 years, I have seen a lot of change and an incredible amount of growth. 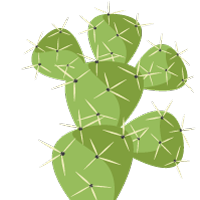 Prickly Pear may be a new name, however I have been in the grocery delivery service for the better part of 10 years. Formerly one of the founding partners of WhereInCabos, I have branched out on my own and brought with me all of my knowledge, tips, success stories, as well as my trials and errors. Originally from Canada, I have worked extensively in Customer Service both in Canada and Mexico. I understand the concept of ‘mañana’ when dealing with suppliers, but also understand the concept of ‘right now’ when dealing with people that are coming from a fast paced world. Part of the challenge of Customer Service here is bridging that gap. I look forward to serving you and making your vacation a better one. I strive for professionalism, efficiency, accuracy and friendliness all wrapped into one. I have a small team, and we all try to do what we each do best. It is our common goal to provide you with a seamless procedure that makes your life and your vacation better. I would like to thank you for the opportunity and trust you have given me to start your vacation off on the right foot. The competition is growing, and we strive to be the leader of our field. So sit back, and “Enjoy the shores while we are at the stores”. Welcome to Cabo, my home, and my little piece of paradise!